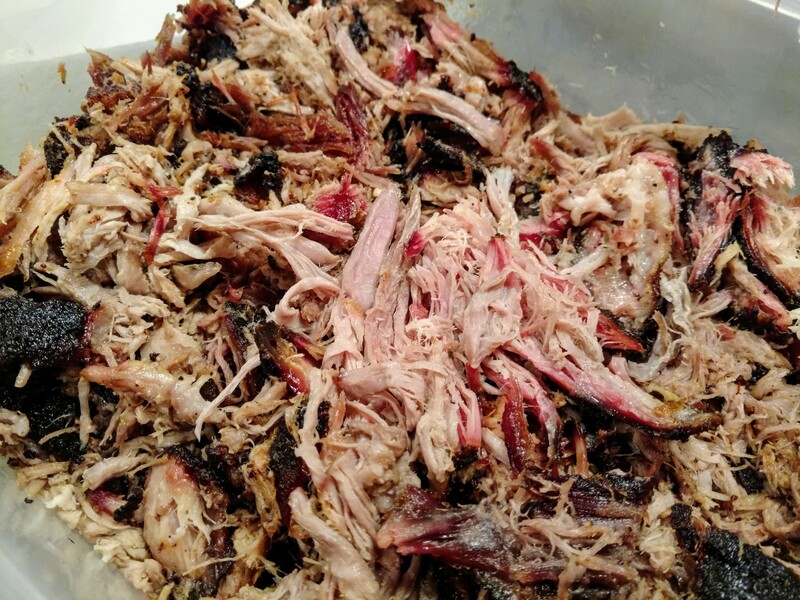 Pork shoulder is a very forgiving and cheap meat to start with if you are new to smoking. During a long cook it slowly transforms to an incredible tender feast for many people to enjoy. I suggest reading other resources online or watching the Aaron Franklin videos on YouTube to get extra education before starting. 2 tbsp (6 tsp) white sugar. Place all spices for the rub in a large bowl and stir to combine. Spread yellow mustard on all sides of the pork. Spread the spice rub on all sides of the pork. Let the pork sit in the fridge overnight (optional). Preheat the smoker to 250° F. Don’t forget to have a water pan filled up inside as well. Place pork into smoker and cook for roughly 1-1.5 hours per pound. Occasionally add water and wood chunks (Hickory is a popular choice). Try not to open the smoker often, it really isn’t necessary. If you’re lookin you ain’t cookin. When the internal temperature reaches 160° F, around 4-5 hours, you may remove the pork and wrap it in foil to help get past the stall. The stall is when the pork can sit around 160-175° F for hours before it continues to climb in temperature. Wrapping in foil will help to reduce that time. Some say wrapping in foil may produce juicier meat, but may also make it tough to get a nice bark on the exterior. Experiment and see what you like best. Cook until the internal temperature reaches 200-205° F, remove from smoker and let rest for at least 20-30 minutes. The pork should be easily shreddable with forks. Are you in a mood to eat some tasty crab dishes? order hard shell crabs now. Source: Jesse Thomann, Aaron Franklin, Amazing Ribs, Misc others.